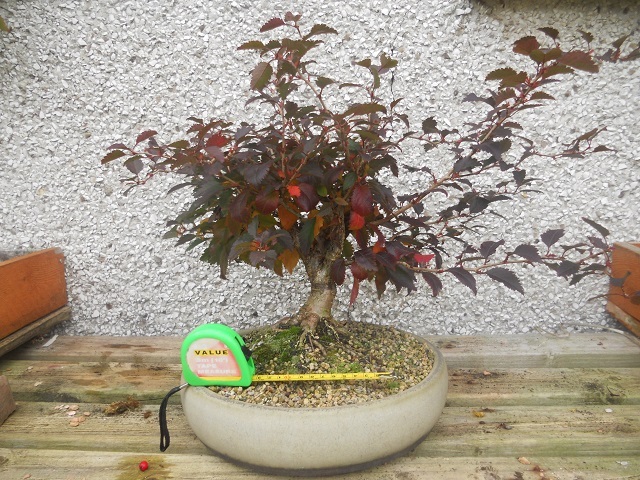 This was a garden centre shrub that was bought in January 2012. 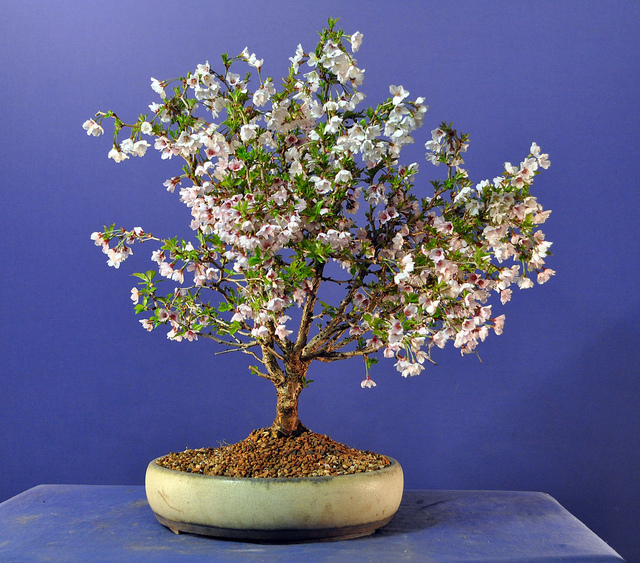 I’d heard of the variety before and knew of someone else who had a Fuji Cherry bonsai. 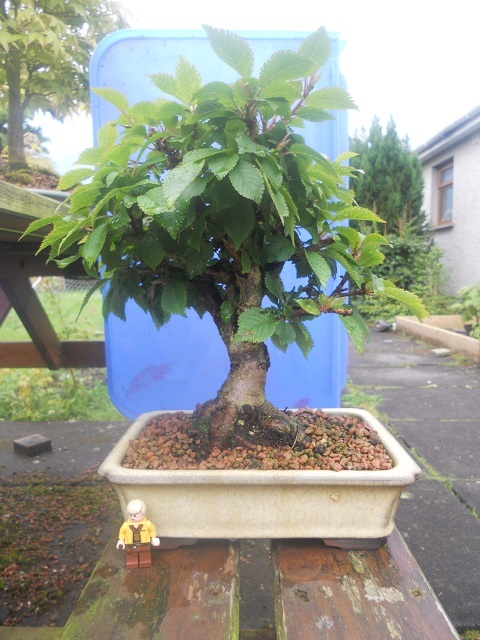 After having a poke around the based of the trunk at the centre decided that it would be a suitable subject for bonsai training. I wanted to repot before flowering, so I immediately reduced the rootball by approximately half and put it into an Ian Bailie pot that I had spare and really liked. Unfortunately I failed to take a ‘before’ photo so this first photo shows the foliage reduced significantly too. 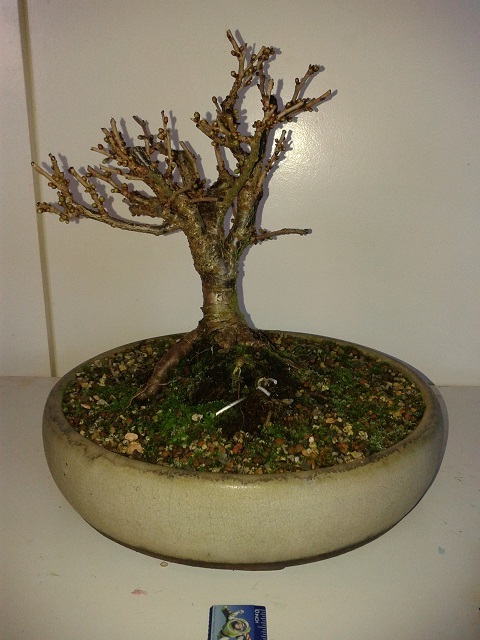 To me the tree looked great but to other more experienced members of the Northern Ireland Bonsai Society pointed out that it looked very much like a shrub and that the tree would need to be significantly reduced in height. 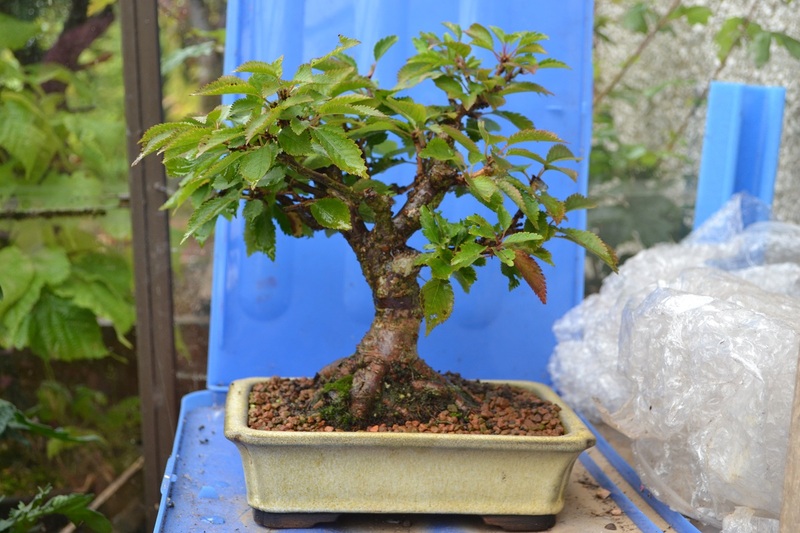 After a year of free growth and good feeding, the trunk and base thickened up. Reducing the height of the tree also helped to make it appear stockier and powerful. 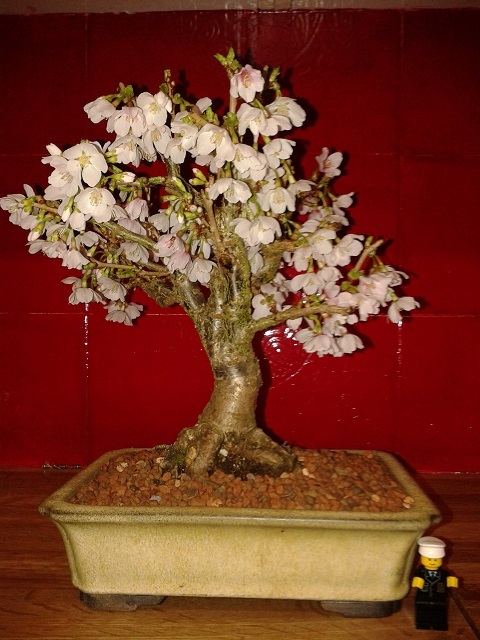 After two years in the round pot, I felt that the tree was ready for a new home. I chose to repot early because I wanted to see the flowers in the new Walsall pot. As soon as the flower buds started to swell and develop colour, I went ahead. The tree has changed a lot in the past two years but a lot more is to be done. The short thick trunk base changes into a number of upper trunks but one of these was nearly vertical and crossed in front of a more interesting primary trunk option. Following advice from more experienced members, I decided to recently chop it. The tree is now opened up more with more movement. A lot of ramification to be developed over the next few years.